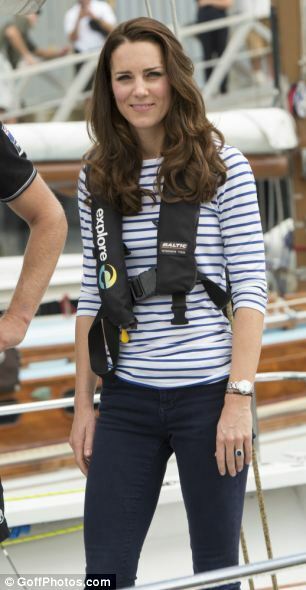 MailOnline reports, “There were certainly no hard feelings between the Duke and Duchess of Cambridge today, even though she beat him in two yacht races around Auckland Harbour in New Zealand. 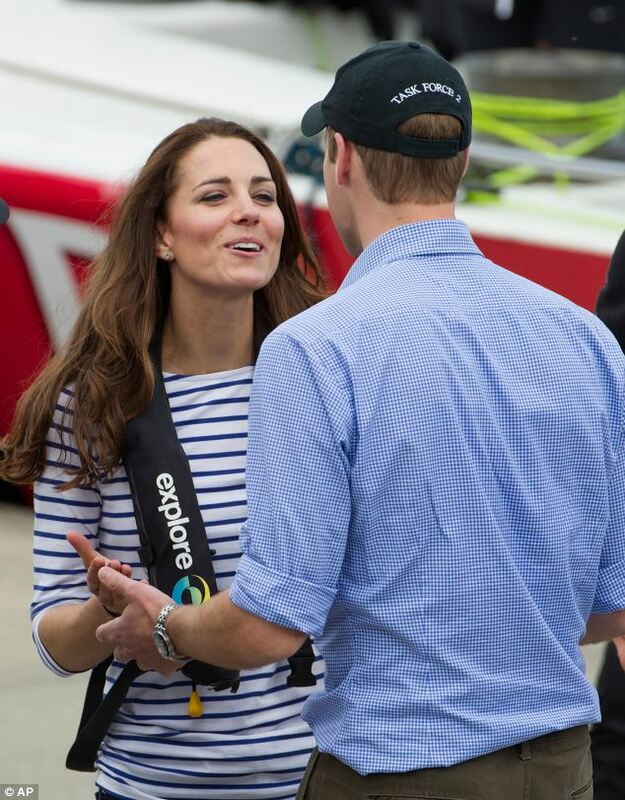 In fact, the body language between the Royal couple shows that their bond is stronger than ever. 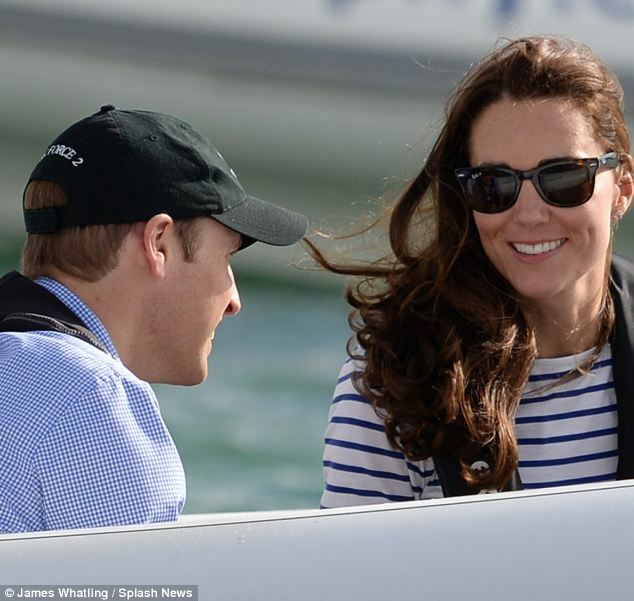 After her victory against Prince William, the pair laughed and smiled together, and Kate even offered a look of sympathy as she patted her husband’s arm. Body language expert Judi James told MailOnline the playful competiveness between the Royal couple symbolises the great strength of their relationship. 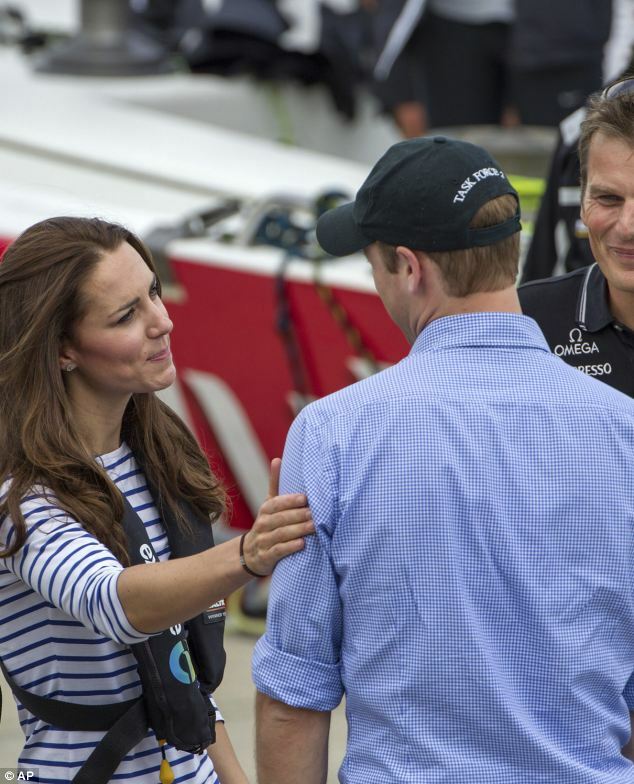 ‘The men of the Royal family are often celebrated sporting figures whilst their wives sometimes take a slightly more compliant role,’ says James. 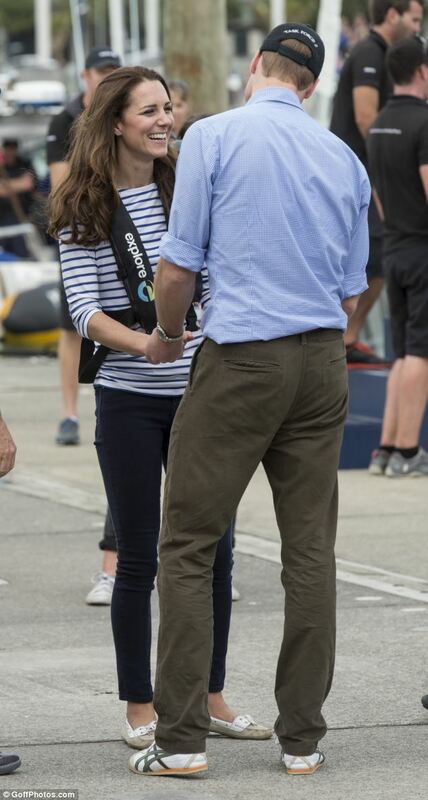 ‘I think William loves the fact that Kate joins in and they can share these moments, but also that they have this competitive, playful side to their relationship. ‘It shows that, despite being the future King and Queen of England, they are actually a rather normal couple, too, who like to joke around with each other. 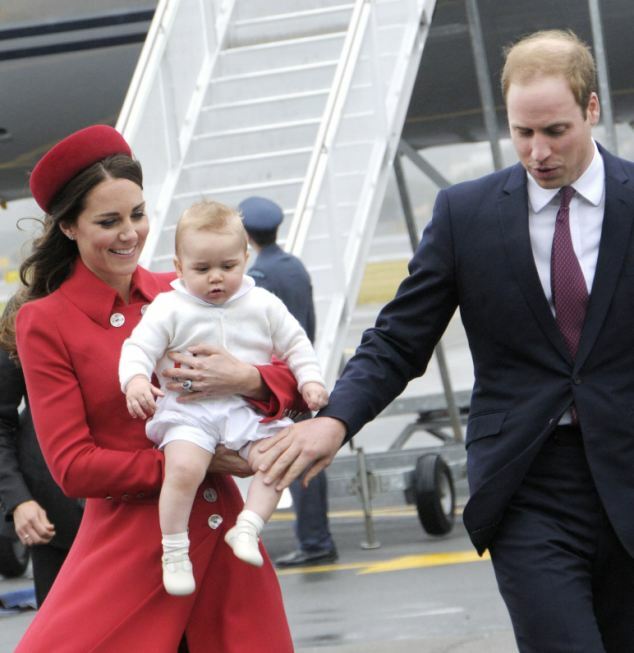 What a beautiful and lovely couple, especially with 8 month old baby George looking adorable as ever! Here he is playing with babies of military families with his parents in New Zealand.